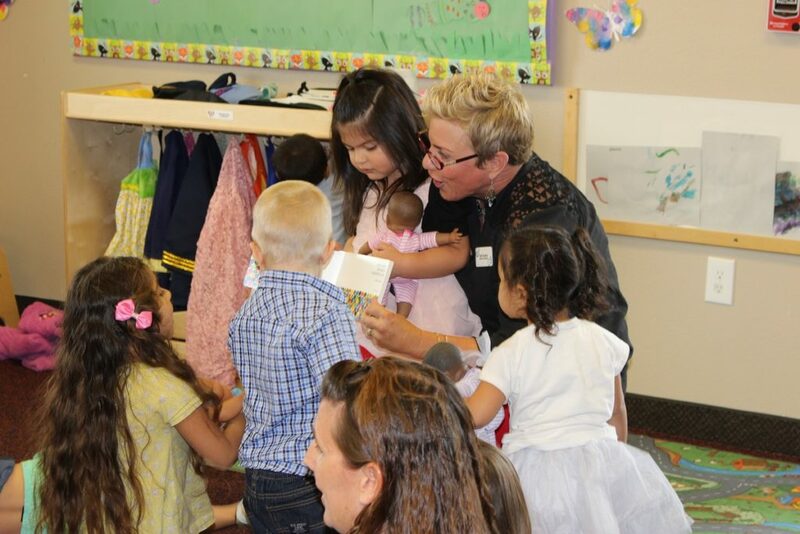 ST. GEORGE — The Caterpillar Clubhouse, an early childhood development center, celebrated its grand opening to the public with a ribbon-cutting ceremony attended by nearly 100 guests Thursday morning. 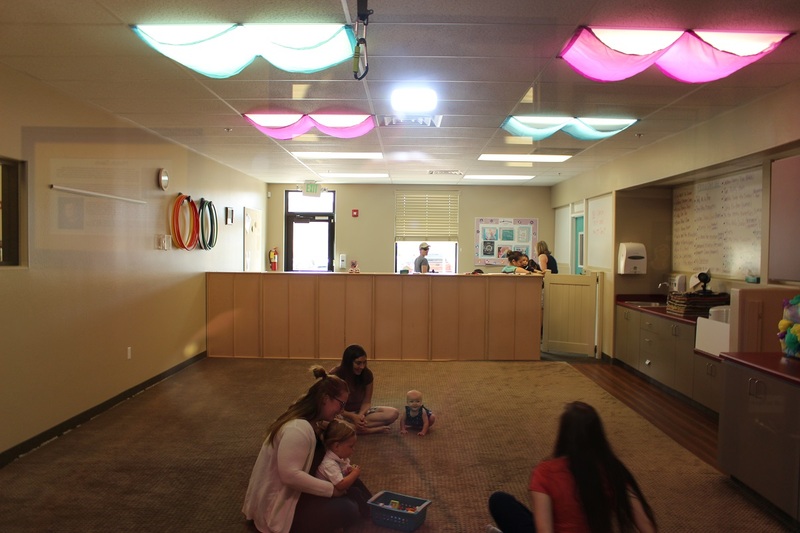 The Caterpillar Clubhouse is part of The Learning Center for Families, a nonprofit organization that helps families gain access to services that promote healthy development including assessments, early intervention services, child care services and other programs. 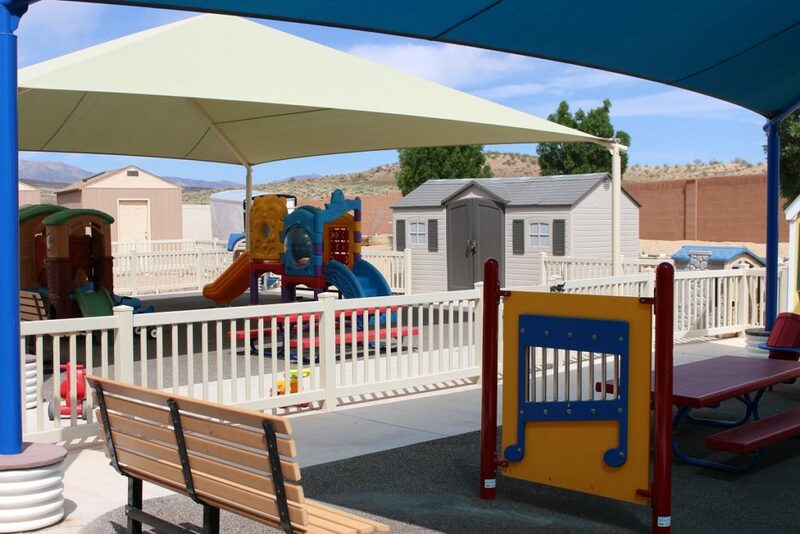 Services provided by the Caterpillar Clubhouse and The Learning Center for Families are jointly located at 2044 S. Mesa Palms Drive in St. George. 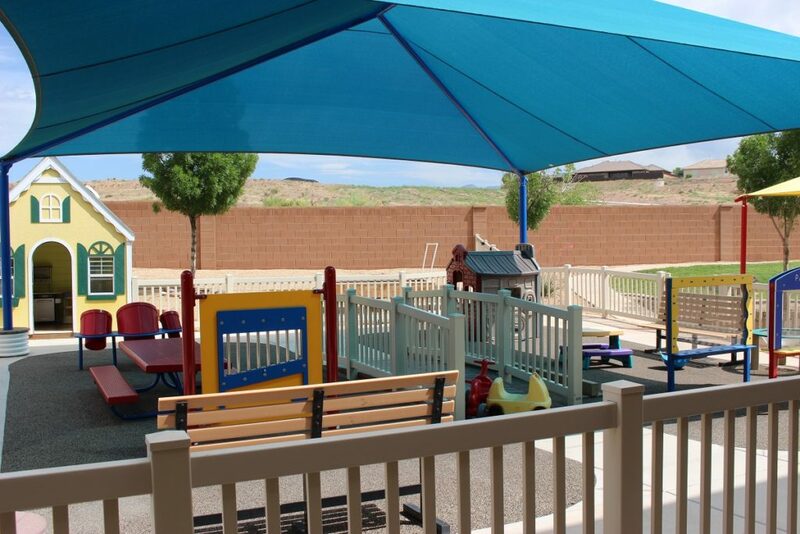 Originally, Learning for Families was located on Sunset Boulevard while the Caterpillar Clubhouse has most recently served children and families only at the newer location on Mesa Palms Drive. But as the number of children enrolled in the organization’s many programs increased, it was necessary to move everyone to the larger facility. The program is licensed for 64 children and 41 children are now enrolled, Kamie Adams, child care director with the Caterpillar Clubhouse, said. “We started with eight children on Sunset Boulevard and knew we needed to relocate to a larger facility once we had 41 children,” Adams said. The new building has a second floor where administrative services are located, with the early childhood development center operating on the ground floor, Adams said. The facility includes five classrooms that utilize “Creative Curriculum,” an evidence-based model that includes 38 research-based objectives for children ages birth to five years that promote school success. Dr. Brendon Holmes attended and said he’s very supportive of the center and the work the organization does in the community. 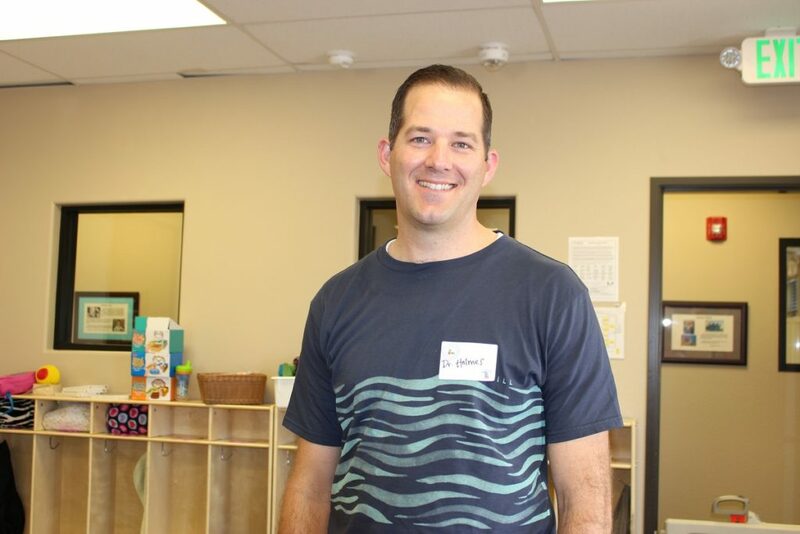 Holmes is a pediatrician at the Hurricane Valley Clinic, which is part of the Intermountain Medical Group. The Learning Center for Families is a private, non-profit health, social service and school readiness agency. Its programs serve families in Washington County and the Arizona Strip, according to the organization’s website. An original grant provided in 1993 by the Utah Department of Health, Division of Family Health Services, helped give The Learning Center for Families its start and its been growing ever since. Greg Eberhard, the organization’s CFO said the center’s growth includes resources and services for children who suffer from poor health, a developmental delay or disability, have some type of special need, or those living in poverty. One area of focus for the organization is helping parents gain access to early intervention programs to address certain risk factors for children. “Early Head Start” and “Parents as Teachers” are two of those programs. The early intervention team assigns one family support specialist to a child. That specialist follows the child from before birth until they reach the age of 3 years old, Adams said. John Olsen from the St. George Chamber of Commerce was also on hand during the ribbon-cutting as part of the Dixie Sunshiners, a group of 40 individuals within the civic organization that attends many grand openings each year. Since its inception, The Learning Center for Families has provided over 13,500 families with the extra help they need to ensure that every child has the skills needed to excel in school and in life. 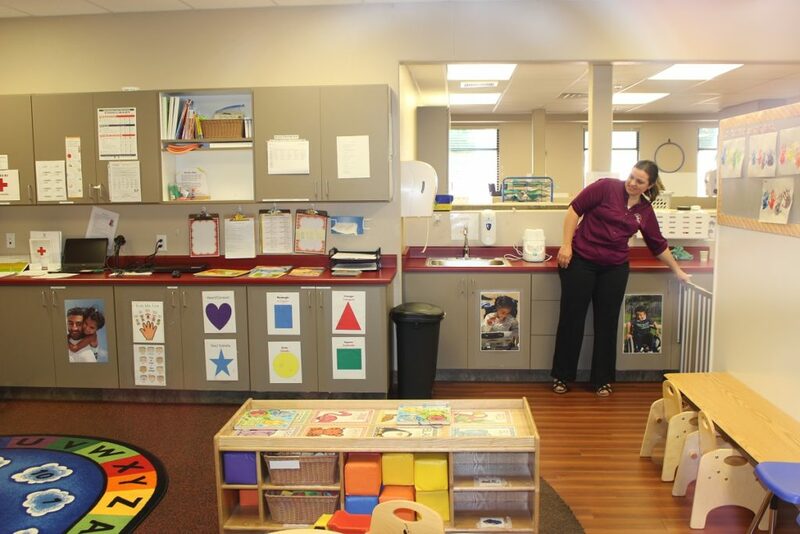 The center has a staff of more than 80 employees which includes special education consultants, occupational and physical therapists, nurses, speech therapists, registered dietitians, licensed clinical social workers and Kindermusik instructors. Kindermusik provides active, music-making programs that help children develop balance, coordination, listening skills and literacy. During its 35 year history, Kindermusik has helped millions of children in 70 countries, according to information obtained from the company’s website. In addition to St. George, The Learning Center for Families also has centers located in Hurricane, Beaver Dam and Colorado City. The centers provide home visiting services to more than 500 pregnant women and families every week throughout Washington County and the Arizona Strip. For more information about the Learning Center for Families go to the organization’s website.